If you are a youngster who loves visiting new places and indulging in adventure activities then this Adventure Unlimited Uttarakhand of 9 nights and 10 days. The tour itinerary includes visits to popular destinations like Delhi, Haridwar, Auli, Kaudiala, and Shivpuri. 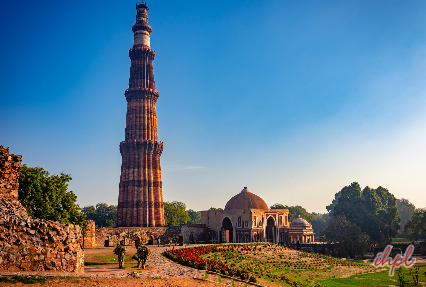 Guided Tour of Delhi including Qutub Minar, India Gate etc. On your arrival in Delhi, you will meet by our representative and get transferred to your hotel. Stay and relax in the hotel overnight and refresh yourself. From the next day starts the tour of the Adventure Unlimited Uttarakhand. Delhi is a city which is known for its medieval charm and vintage flavor. From the grand old historical monuments to the beautifully crafted architectural marvels, the city of Delhi allures tourists from all over. From the remnants of the Mughal era to the colonial ambiance of the British period, Delhi recalls the glory and grandeur of the yesteryears. There are some interesting tourist attractions in Delhi. From the beautiful Laxmi Narayan Temple, to the India Gate - the memorial of martyrs and the government headquarters which is the Parliament House, Delhi attracts tourists from all over the world for its fascinating monuments. Besides this the Jama Masjid and the towering red stone structure called the Qutab Minar are also a few of the wonderful structures. Delhi is an important destination on this tour. Enjoy your day in sightseeing Old and New Delhi. Overnight at the hotel. Next day board the train to Haridwar. 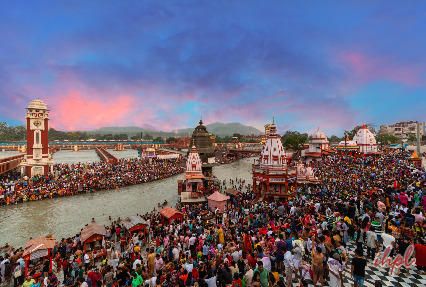 Any Youth Pilgrimage Tour Package in India is incomplete without a tour to Haridwar. On your arrival, check in at the Hotel. After lunch, you may visit the temples. Later, leave for the Rajaji National Park. Check-in at the lodge for an overnight stay. 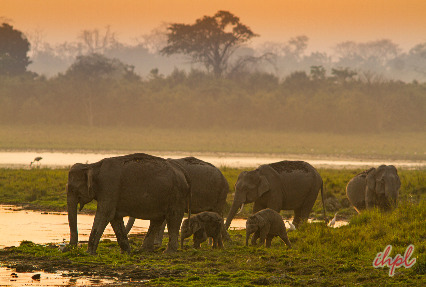 In the morning, embark on an elephant safari inside the park. One of the most beautiful forests nestled in Northern India, the Rajaji National Park is also known for its rich biodiversity. The perfect paradise for nature lovers it is blessed with a rich variety of flora and fauna. You can get a glimpse of animals like the elephants, tigers, leopards, deer and ghorals. The evening is booked for a nature walk. Overnight stay at the lodge. Plan a drive to Auli and check in at the Hotel/ Rest House on your arrival to Auli. You will be served welcome drinks on your arrival. You can enjoy recreational games. Relax during an overnight stay at the hotel. Wake up and have your breakfast and plan the day for skiing. Auli is one of the ideal destinations in Uttaranchal which is perfect for skiing. One can ski on 10-20 kms of snow covered mountain slopes and it is surely a treat for all you adventure tourists and this tour to Auli is one of the key features of Adventure Unlimited Uttarakhand. Ski down the snowy slopes and feel the chill of the air and watch the scenic beauty of Auli. Overnight in Auli. Morning breakfast. 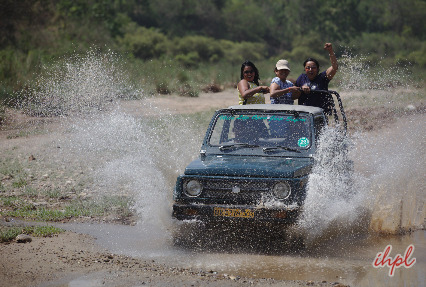 The adventure tourists who will be a part of this tour will surely fall in love with the place. So the next day of the tour package is kept for skiing. National Championships for skiing are also held in Auli during February and March. You can also enjoy a cable car ride. Overnight in Auli. After Auli, it's time to drive to Kaudiala after breakfast. Kaudiala is famous as a rafter's paradise. Located on the Rishikesh Badrinath Road, this is one of the ideal place where you can enjoy the scenic beauty as well as the turns and bends of the beautiful Ganga. On your arrival enjoy the welcome drink. Tourists can enjoy an adventurous night stay in the huts and tents on the bank of River Ganges. After breakfast plan the trip to Shivpuri. Enjoy exciting river rafting in Shivpuri. Just enjoy the swirls and turns of the River Ganga as it rapidly descends to the plains. 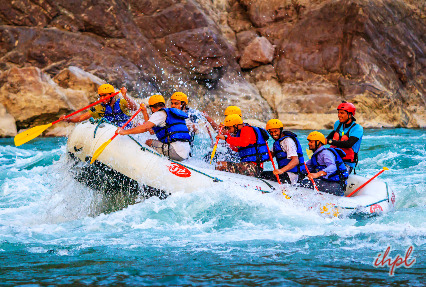 The rafters love the river rafting in Shivpuri and Kaudiala as it gives them the thrill and enjoyments and it is the perfect sport if you are looking for some adrenaline rush. Later on drive to Haridwar railway station to board a train for Delhi. On your arrival at Delhi, you will be met by our representative and transferred to your hotel for the overnight stay. This is the last day of the tour. Take your flight or train towards your home destination from the airport or railway station.